This job was a Travertine tiled Kitchen floor in West Disbury, the customer ask me to have a look at the tiles which had been down for three years and had quite a lot of cracks in, on top of that it had not been sealed very well when it had been laid which had allowed dirt to become ingrained into the tile leaving it looking dull. 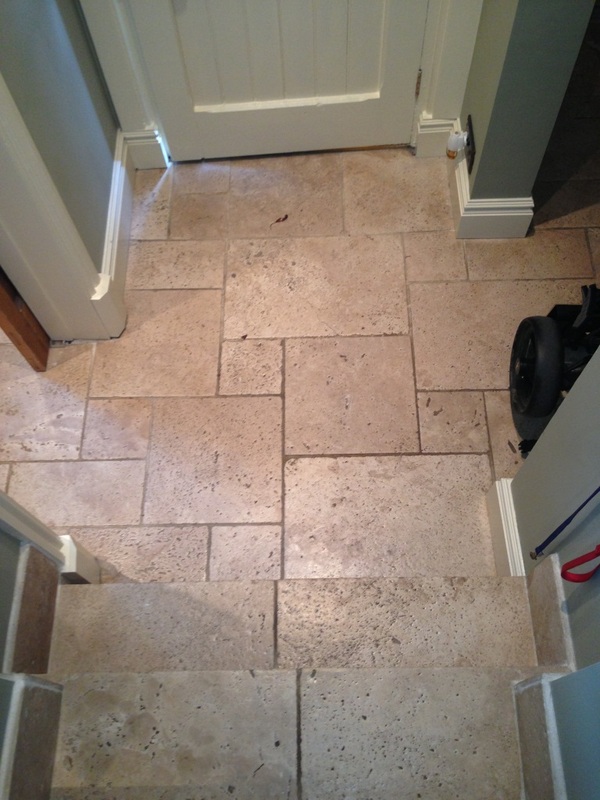 The first job was to wash the floor down to remove any grit from the floor and then remove what remained of the old sealer, now with Travertine being a very hard stone it has to be removed using of a set of diamond encrusted burnishing pads fitted to a rotary machine. Once this was done all the cracks in the Travertine were filled in using a flexible grout which was a blend of three different grout colours in order to get a shade that matched the colour of the travertine. 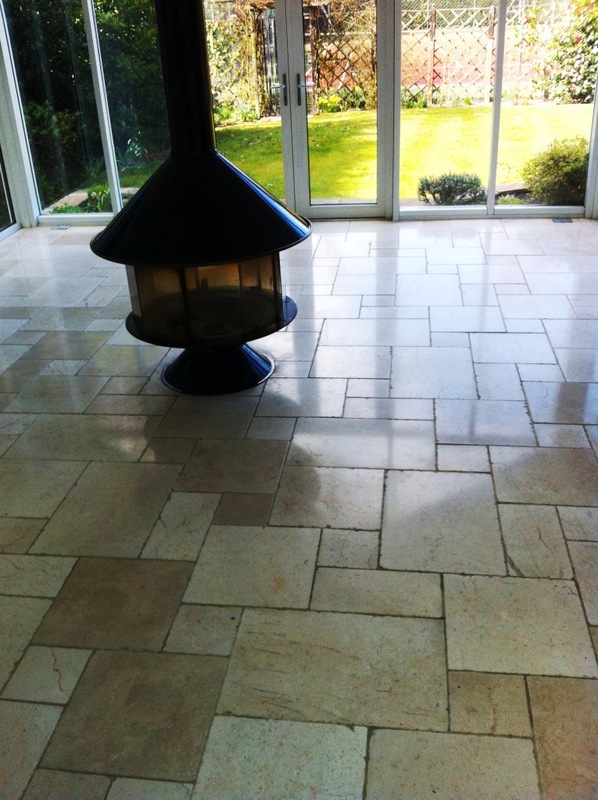 The tiled area was quite confined and tricky to work in so this process including the sealer removal took two days in all. 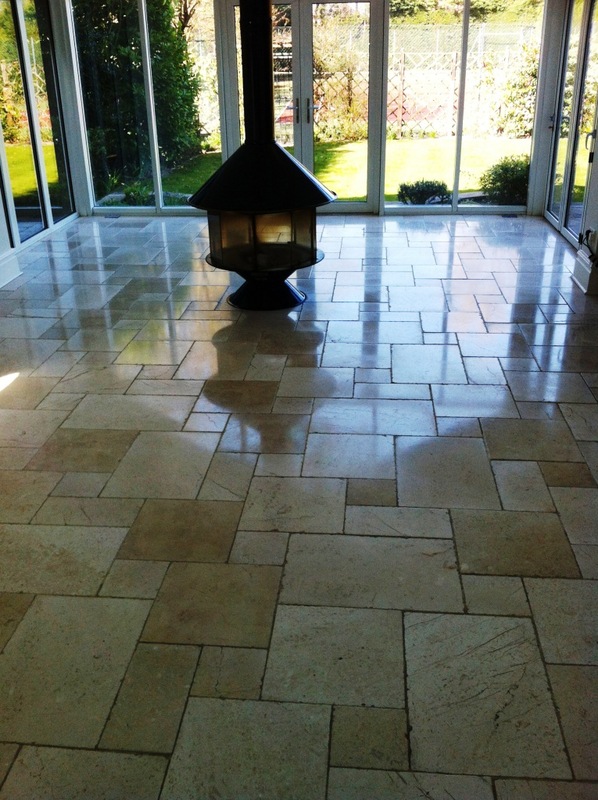 On the third day I used the fine burnishing pad to give the final polish and then to protect the floor from stains it was sealed with two coats of Tile Doctor Colour Grow which is a colour enhancing sealer that brings out the colours in natural stone. Once the sealer was dry it was buffed using a white buffing pad to make sure that I hadn’t left any residues from the seal. 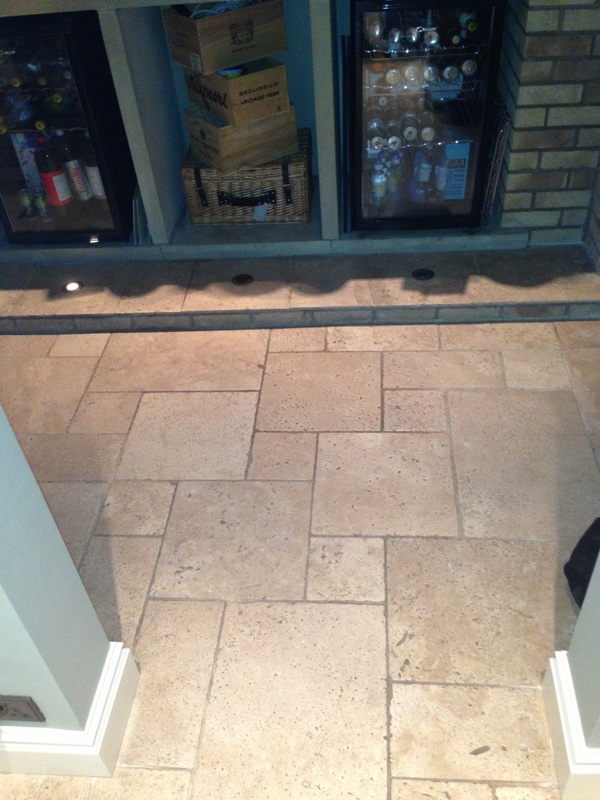 The customer was very pleased with the finish and found it very hard to spot the cracks I had filled. 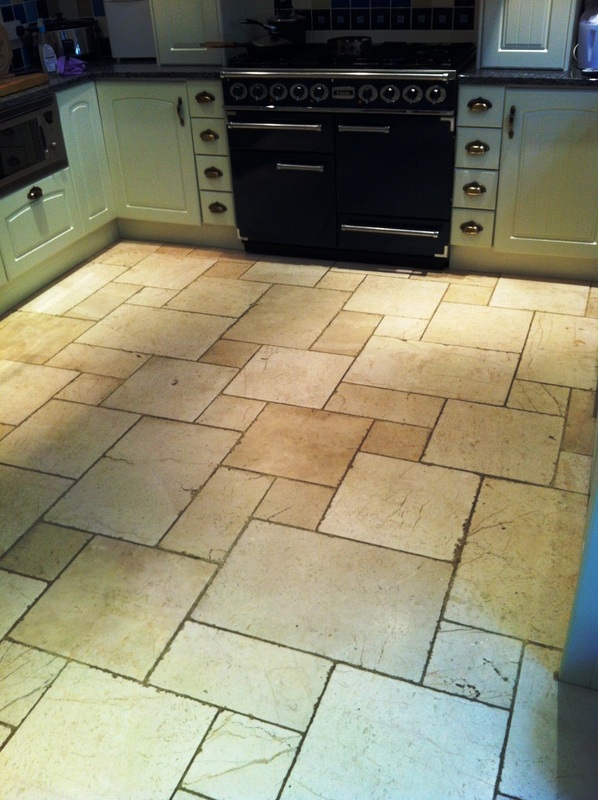 This Travertine Tiled Floor was laid in an open plan Kitchen in West Didsbury, Manchester, hopefully you will be able to see from the photographs it was in need a regular clean and re-seal. 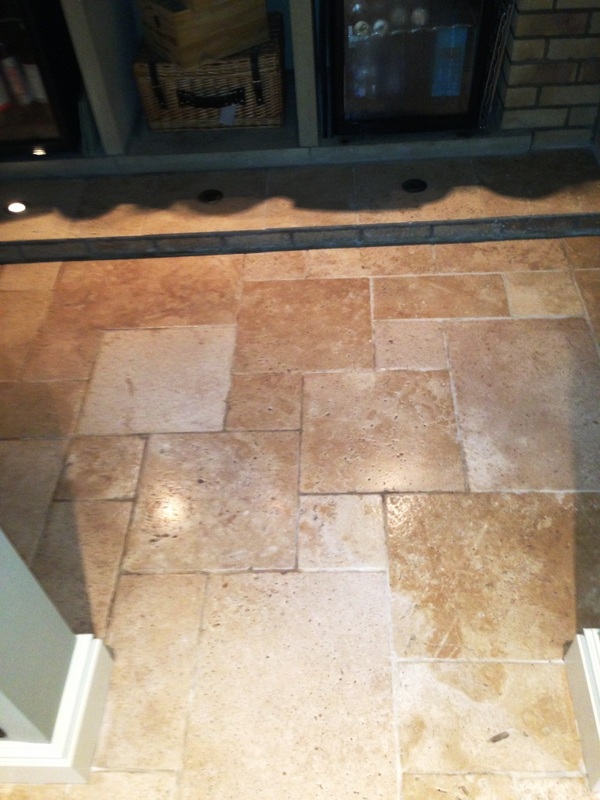 I gave the Travertine tiles a quick clean with a weak dilution of Tile Doctor Pro-Clean to remove any loose surface dirt and this was rinsed off with clean water before starting with a set of Burnishing pads. The Burnishing system we use has four different coloured pads and they fit to a rotary machine. You work your way through them together with a little water one by one until the floor is thoroughly cleaned and polished; we used the white buffing pad for this one. 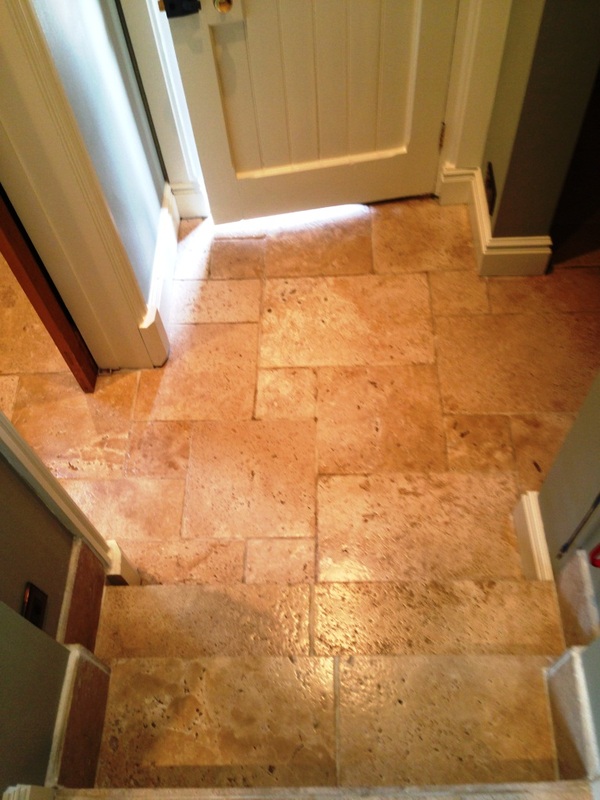 When the Travertine tile was dry it was sealed with two coats of Tile Doctor Colour Grow which is a colour intensifying sealer that provides durable surface protection. 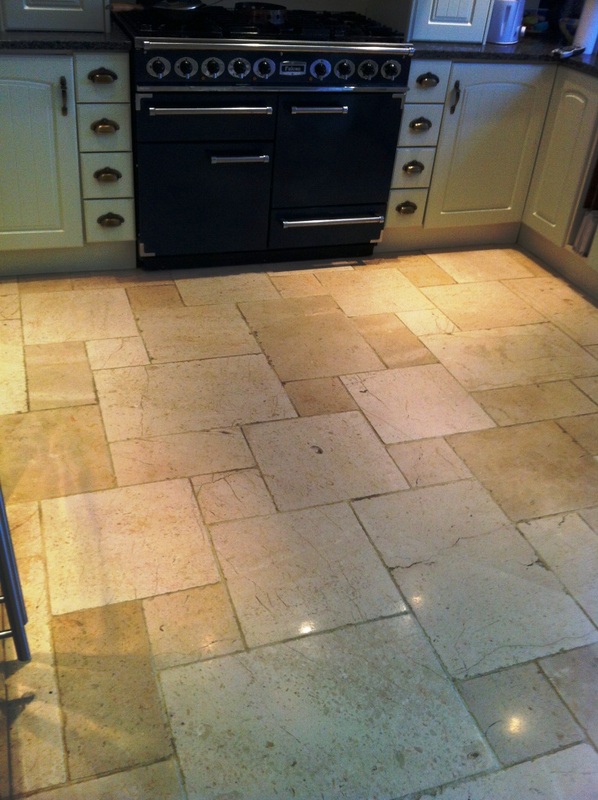 Travertine Tiled Kitchen floor Cleaned, Polished and Sealed.